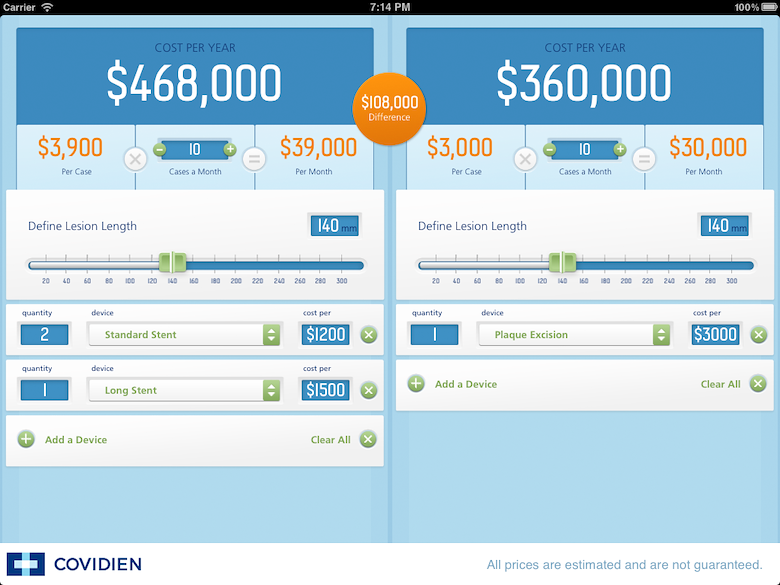 App performs a comparison calculation in landscape. App performs a single comparison in portrait. 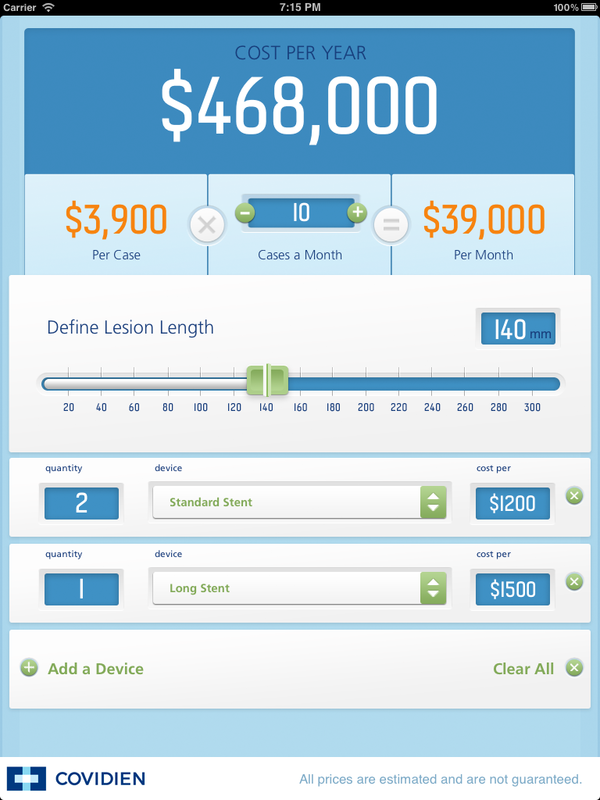 This app calculates the cost of medical devices.